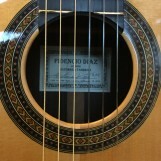 Puerto Rican luthier Fidencio Diaz was a contemporary of Manuel Velazquez and Manuel Del Pilar. 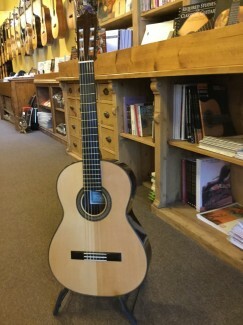 This guitar was the last guitar ever built by Diaz and came to us from the original owner who had it made especially for him. 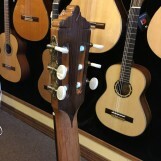 This guitar was made from Diaz’s best stock of wood including his oldest sets of Indian rosewood. 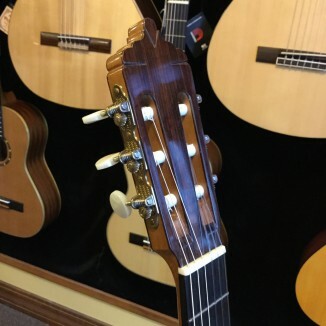 The guitar has a lovely lyrical voice with smooth edges and lots of complexity. 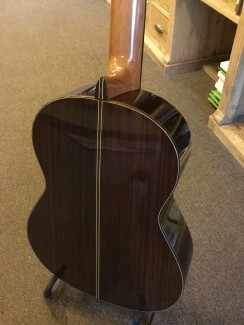 The workmanship is first rate throughout.